Are you looking for a juicer that makes the healthiest juice? One that doesn’t damage any of the valuable vitamins, enzymes, and nutrients? The Omega TWN30S Twin Gear Juicer is one that you can trust to do that. Read my review below to see if this is the juicer that best meets your needs. Owners: Legacy Companies, Ft. Lauderdale, FL. The Omega TWN30S Twin Gear Juicer as you can tell by the name is a twin gear masticating type juicer. This type of juicer crushes, mixes, and squeezes hard fruits and vegetables to extract the maximum liquid, vitamins, enzymes, and nutrients out. Inward rotating gears self-feed the produce. An outlet adjusting knob with spring tension creates pressure to help squeeze all the juice from the pulp more efficiently. What Is The Omega TWN30S Twin Gear Juicer Used For? Who Is The Omega TWN30S Twin Gear Juicer For Or Not? If you are looking for a serious, dedicated juicing machine that will take on the hardest fruits and vegetables and produce the healthiest juices, this is an excellent appliance for the purpose. It is expensive and not as fast as some other types of juicers but is more efficient and keeps more of the enzymes, vitamins, and nutrients in the juice. Oxidation and heat are avoided for longer storage of juice, up to 72 hours. If this is not what you are looking for, there are many other juicers available. Read my Juicers page to find many others that might better suit your needs. Amazon customers rate this product an average 3.9 out of 5 stars. For those that want a hard-working, reliable juicer for daily use that produces the healthiest drinks with a long shelf life, I give the Omega TWN30S Twin Gear Juicer an 85 out of 100 and a recommended Buy. The TWN30S has been discontinued by the manufacturer. In its place may I suggest an updated model, the NC900HDC which has a 4.5 star review rating with 89% of the reviewers rating it 4 or 5 out of 5 stars. Read about the model NC900HDC by clicking the image below. 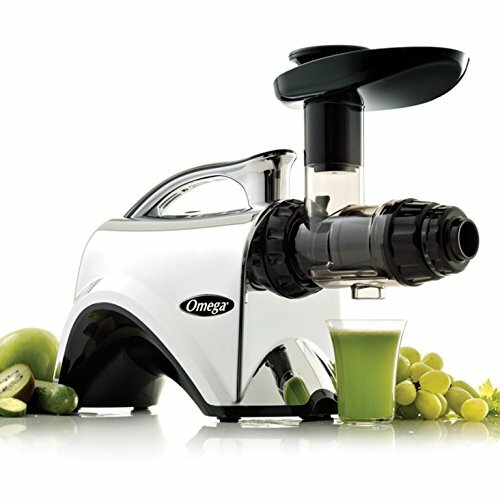 Do you have an opinion on the Omega TWN30S Twin Gear Juicer based on your personal experience that you would like to share? Leave it in the comments box below. If you have any other comments or questions please leave them below and I’ll get back to you right away. thanks for reviewing this blender as i’m looking for the right juicer for me, i normally use it to blend fruits and veggies. and good thing is this blender can even blend a frozen fruit ! How big is this blender? and is it easy to maintain ? The Omega TWN30S Twin Gear Juicer dimensions are 12″(305mm)H x 6.5″(165mm)W x 17.3″(440mm)L and it weighs 13lb(5.9kg). Yes, it is easy to maintain. The disassembly and reassembly is a bit tricky because of the twin gears but you will quickly learn how to do it and after the first couple of times it is quite simple.